Please leave me some FEEDBACK after downloading. I love reading your comments! Thank you! ENJOY! Consider clicking by the GREEN STAR to FOLLOW ME to be notified of new products and freebies posted! I hope you and your students enjoy this FUN activity. There are five pages. One page for each vowel. Students are to color each vowel the color indicated in the directions. 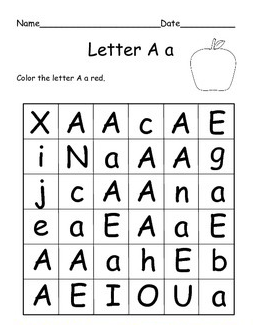 Great for morning work, homework, centers, independent practice, or introducing letters.